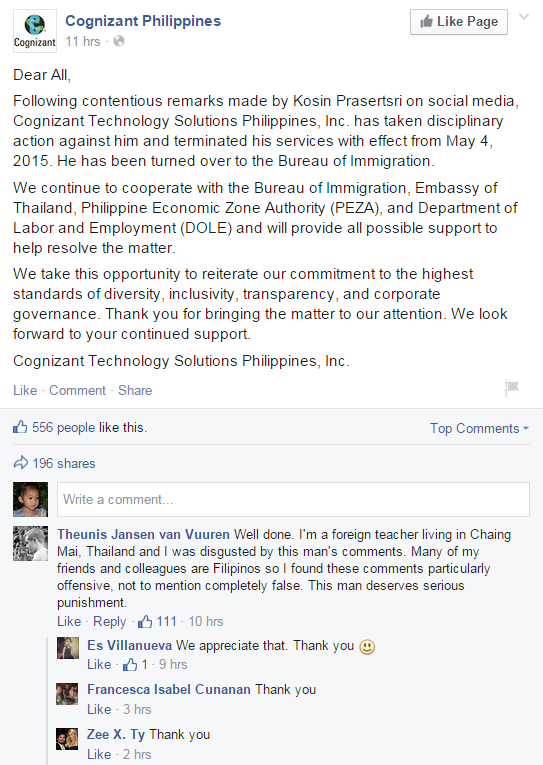 Cognizant Philippines posted on their Facebook page about the action taken against Koko Narak. The Thai national is no longer connected to the company. I have a feeling he’ll be back in Thailand in no time at all.